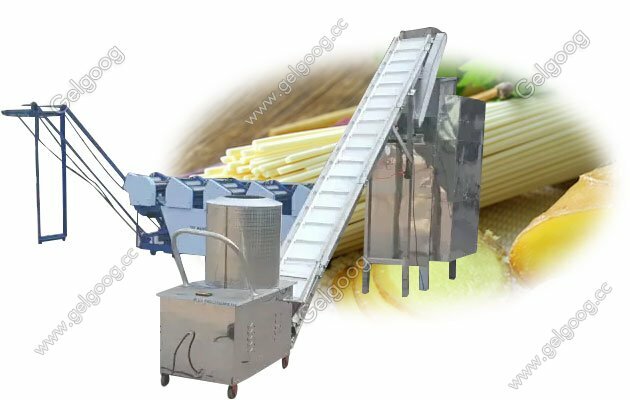 The stick noodle line suitable for small scale noodle factory.Mainly consists of flour mixer, feeding machine, dough aging storage machine, noodles cutting machine. Small Scale Stick Noodle Making Machine Line Factory The Small Scall Stick Noodle Making Machine line mainly consists of flour mixer, feeding machine, dough aging storage machine, noodles cutting machine. 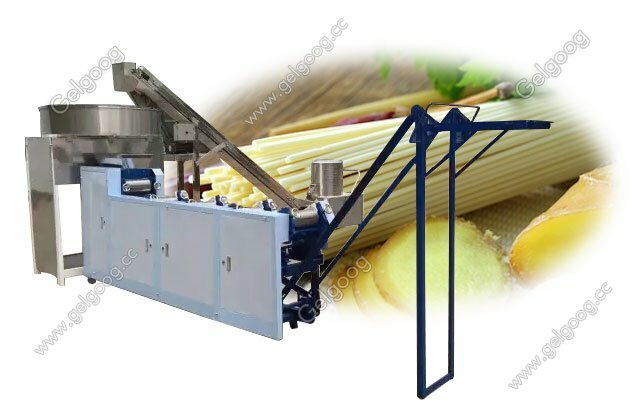 Dough Mixer: This machine can mix 200 kg hour per hour, is ideal equipment for noodles production. Flour Feeding machine: The mixed flour through feeding machine is sent to flour aging storage machine, can convey 300 kg per hour. Flour Aging Storage Machine: This machine is used to age and store mixed flour, ready for next stage- noodles making. 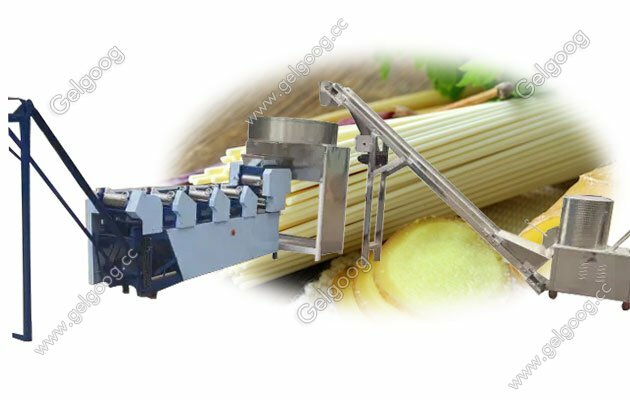 Noodles making machine: This machine has high automation, can produce different sizes of noodles by changing mould, according to customers’ demand, there are many type for selection, has 5,6,7,8,9,10 rollers for your choice.